This Birds Fire Ring is made from 3mm steel plate and has developed its own unique rust patina. 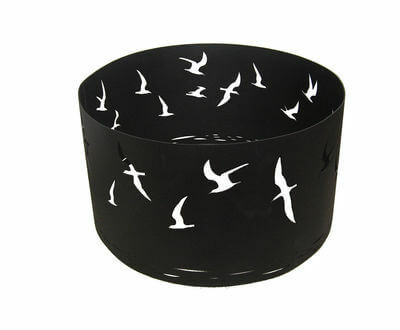 It can also be painted in matt black high temperature paint on request for an extra cost. It is 750 mm in diameter and 400mm tall.